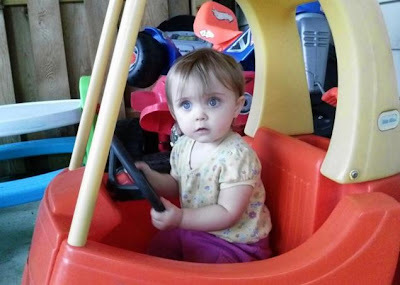 Still missing, Lana, 18 months old, in the "shades of gray" state of Kansas. 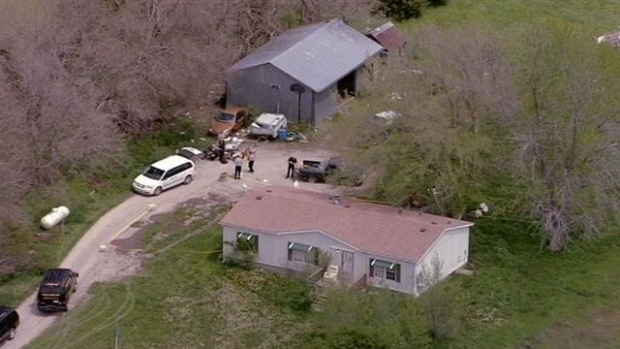 News is coming out of Olathe and Ottawa, Kansas, of the grisly discovery of the bodies of three adults and a missing, presumed dead child of one of the deceased. It appears to be a ghastly reflection - a dark one - of the rescue in Cleveland. The names in Cleveland - Knight, Berry, and DeJesus - are well-known now. From Kansas, we may be hearing more about Bailey, Stout, and White soon. Steven E. White, one of the deceased. 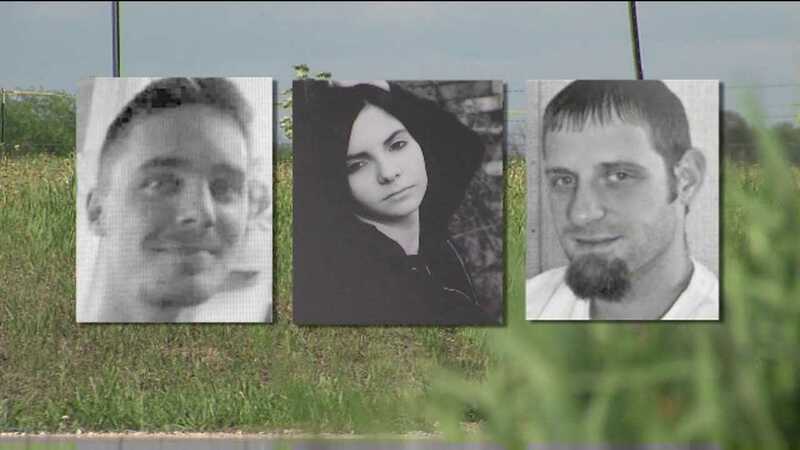 The bodies of Kaylie Kathleen Bailey, 21, Andrew Adam Stout, 30, and Steven Eugene White, 31, were discovered at a farmhouse in Ottawa earlier this week. Friends of a man who lives at the home in the 3100 block of Georgia Road called deputies Sunday after smelling a foul odor. They also had been unable to contact their friend recently. But deputies did not find any bodies. The friends returned Monday and found what they believed to be a woman’s body in a garage. Deputies then returned to the home, got a search warrant and found the men’s bodies. All of the victims were adults. 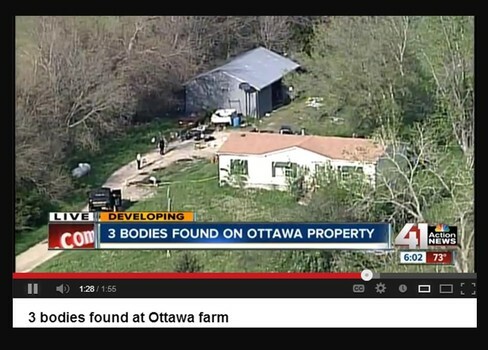 The first body was found in the farm's garage Monday, May 6, 2013, by friends of Stout's, who investigated the property after not hearing from Stout for several days. They called police after finding Bailey's body in the garage under a tarp. Authorities then launched a full search and found the other two bodies. Bailey's daughter, Lana, was nowhere to be found. Franklin County Sheriff Jeffrey Richards said at a news conference that the 18-month-old daughter of one of the victims is "presumed dead" although her body has not been found. A 27-year-old man has been arrested in the deaths of these three people, law enforcement officials said Thursday. Lana Leigh Bailey and Kaylie Bailey. Rachel Helms-Bailey, grandmother of the missing child, said her son, Shawn Bailey, and Kaylie married in 2009 and lived with her for years in Basehor and later Melvern. She said Kaylie never missed a day of work [at an American Eagle Outfitters warehouse], so it’s extremely unusual that Kaylie would miss a week of work without calling. 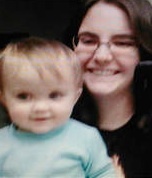 Kaylie and her baby moved back with Kaylie’s mother in Olathe about six months ago, Helms-Bailey said. Shawn Bailey was sent to prison for theft and forgery convictions in early March, and the couple divorced at the end of March, she said. Kaylie last was seen about noon Wednesday leaving her mother’s home to visit Andrew Stout, who lives at the Georgia Road home. They worked together as security officers. 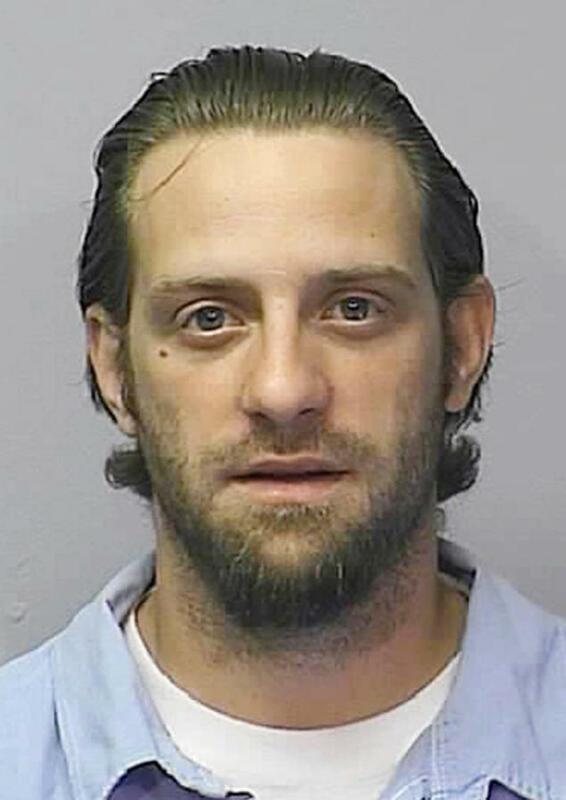 Stout had at least one roommate who recently had been released from prison, Helms-Bailey said. Kaylie said she would be back in two hours but never returned, Helms-Bailey said. She missed her overnight shift that night and every shift since. Stout has also not returned to work, Helms-Bailey said. Police had earlier been looking for two men in connection with the murders: Kyle Flack, 27, and Cyle Mathew Bailey, 22. They are believed to be driving a Toyota Corolla. The suspect was located in Emporia, about 50 miles southwest of Ottawa, Sheriff Richards said. That suspect is being held at the Franklin County jail on a first-degree murder charge but has yet to be formally charged, according to Richards and Franklin County Attorney Stephen Hunting. 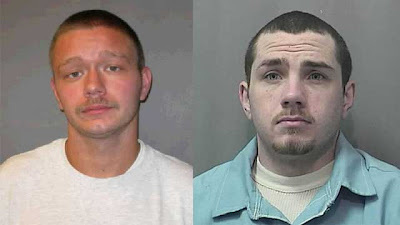 Shawn was arrested with relative Cyle Bailey, 23, who had been imprisoned with Shawn for their role in a 2008 burglary in Franklin County. Cyle Bailey had also initially been sought by police as a “person of interest" in the Ottawa homicide. However, police canceled that request Tuesday after speaking with Cyle. Source. Update: Prosecutors are expected to charge Kyle Flack, 27, of Ottawa with multiple counts of first-degree murder in the case, Richards said. The father of the child, Shawn Bailey, is apparently not a suspect. He has been in jail in Missouri since January on burglary charges. It is not known if Cyle Bailey is a relative. Olathe, Ottawa, Emporia. We are in Kansas. Oz incarnate. The state has a Wizard of Oz Museum, a Yellow Brick Road, a Munchkin Mall, and other Oz-linked roadside attractions. Olathe, where Kaylie Bailey lived, is literally "beautiful." Olathe was founded by Dr. John T. Barton in the spring of 1857. He rode to the center of Johnson County, Kansas, and staked two quarter sections of land as the town site. He later described his ride to friends: "...the prairie was covered with verbena and other wild flowers. I kept thinking the land was beautiful and that I should name the town Beautiful." Purportedly, Barton asked a Shawnee interpreter how to say "Beautiful" in his native language. The interpreter responded, "Olathe." Source. This area of Kansas was involved in the pre-Civil War bloody battles between pro- and anti-slavery factions. Confederate guerrillas from Missouri led by William Quantrill surprised the residents and raided the city on September 7, 1862, killing a half dozen men, robbing numerous businesses and private homes, and destroying most of the city. Quantrill launched the raid because the people of Olathe were known for their abolitionism. Ottawa is a city situated along the Marais des Cygnes River (which use to flood often) in the central part of Franklin County, Kansas. Beginning in 1943, Ottawa served as a branch camp for Nazi prisoners of war. Emporia, Kansas, located on upland prairie, was founded on February 20, 1857, drawing its name from ancient Carthaginian Africa. The 1987 CBS miniseries Murder Ordained was filmed in Emporia. The program was the dramatization of an actual event in Emporia involving the 1983 death of Sandra Bird. Her husband, Reverend Tom Bird, was convicted of first-degree murder in her death and served 20 years in prison. On Sunday, March 6, 1988, a heavily armed gunman walked into the Calvary Baptist Church during services and opened fire. The 29-year-old gunman, Cheunphon Ji, shot randomly, killing 1 person and injuring 4 others. "No matter how dreary and gray our homes are, we people of flesh and blood would rather live there than in any other country, be it ever so beautiful. There is no place like home." ~ Dorothy in The Wizard of Oz. Thank you for posting this, Loren. As a Kansan with a deep interest in Kansas history, you reminded of a few things I'd forgotten about, like the murder in Emporia, a nice town and the gateway to the picturesque Flint Hills, where William Least Heat Moon's geographical novel Prairyerth was written. Two of the Kansas victims worked for American Eagle. In Cleveland Angel Cordero's yellow t-shirt looks like it had a huge eagle patch and the word eagle on it. Once upon a time it was known as Bloody Kansas. Weirdest place I've ever been is Texaco, KS. In many ways, modern, organized crime was born in KS via Quantrill. Flack (Killing Me Softly) links tidily back to Lauryn Hill. What bothers me about these types of news stories is the bare bones reporting style, giving no hint what might have been behindthe killings. And there's always that one ambiguous element of one of the suspects having the same last name, but 'it's not known if he is related'. What's even more strange is why would the deputy presume the little baby is dead, instead of saying an Amber Alert has been issued? I presume Kansas has the Amber Alert system? It's impossible to think even a most hardened criminal could have had the audacity to kill that darling little baby. Saturday news is that they found the remains of the little girl that was presumably murdered by Kyle Flack. Loren, I can only assume your use of the phrase "Dark Mirrors" was intentional, and I'd add, well-chosen. It certainly hearkens to a number of references, and is invoked in pop culture frequently. Among those, Star Trek: Enterprise had a two-part episode titled, "In a Mirror, Darkly". I'm no Trekkie, but I can see some twilight parallels in the storyline and message. But the reference it seems to invoke most strongly is that of 1 Corinthians 13:12, familiar to many: "When I was a child, I spoke as a child, I understood as a child, I thought as a child: but when I became a man, I put away childish things. For now we see through a glass [mirror in some versions], darkly; but then face to face: now I know in part; but then shall I know even as also I am known. And now stays faith, hope, charity, these three; but the greatest of these is charity." Mirrors are powerful imagery. Let's hope we see much more charity through the looking-glass in the future.